← It’s time to evaluate your courses! Hustle and Bustle is in the air. 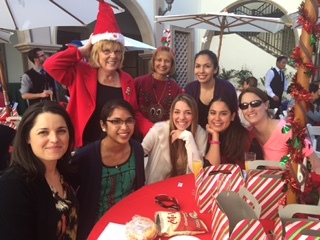 The semester is winding down and the school of nursing is decorated for the season. 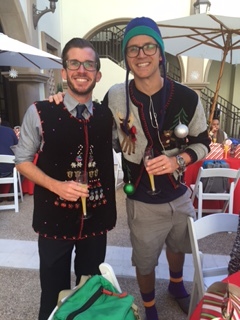 Faculty, staff, and students kicked off the holiday season yesterday with a delicious lunch, yummy beverages, a few raffle prizes, and even an “Ugly Sweater Contest”. It was such a treat to take a little time to celebrate with each other before the end of the year is upon us. This entry was posted in 2014 Cohort info., 2015 Cohort info., Uncategorized and tagged MEPN class of 2016, MEPN Class of 2017. Bookmark the permalink.